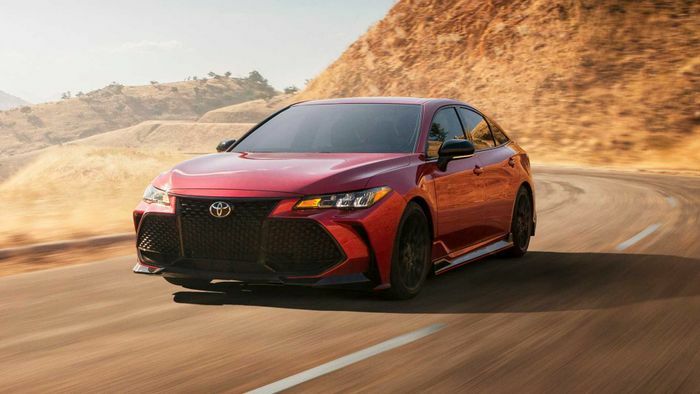 Earlier this week we told you about the new Toyota Avalon (and Camry) TRD special edition – and now we know what’s going on under the skin. 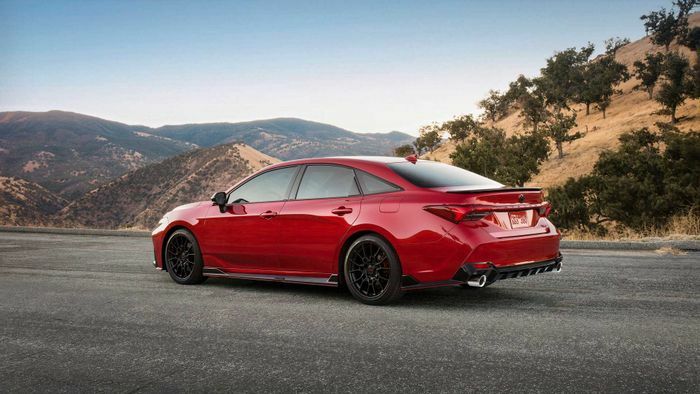 The slightly weird sporty version of a car built to transport sensible people safely to garden centres has been given a series of dynamic upgrades to add to the more aggressive Toyota Racing Development skirts, wheels and spoilers. No one is likely to miss your approach thanks to a black grille the size of a small house. Edged here in sporty black trim, it looks even bigger than usual. The current Avalon truly is the whale shark of the road. The TRD version sits 15mm lower on firmer new springs and dampers, with greater cornering support and rigidity from extra chassis bracing. 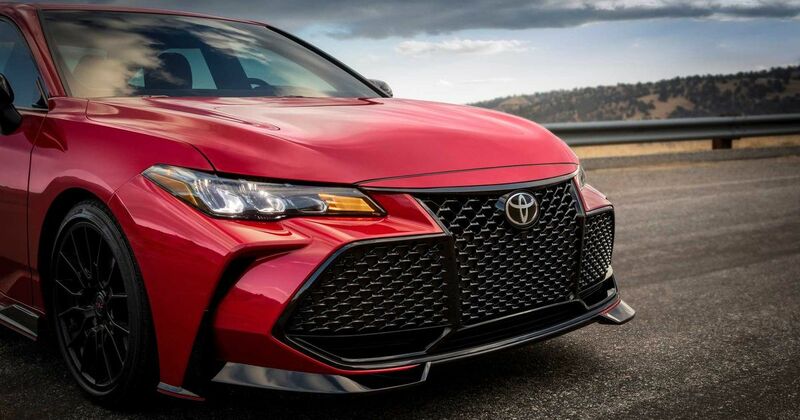 Those 19-inch TRD wheels with lower-profile tyres bite into corners with a little more gusto. We did wonder earlier in the week about the front brakes, as the early pictures only really showed the rears. As it turns out they have been upgraded. Dual-piston floating calipers grip 328mm ventilated discs. At the back those shiny, etched exhaust tips are part of a cat-back exhaust upgrade with freer flow and more noise. The 301bhp from the 3.5-litre V6 is unchanged, but at least it will sound a little ruder. Quite why the Avalon’s normal audience will think that’s a good thing, though, we’re not sure.